So many question marks with this one. On the one hand it’s a vox-pop show, and these never ever ever ever (ever) do any kind of business. On the other hand, it’s based on an apparently popular segment on Saturday Night Takeaway, so it has brand recognition. On the one hand it has Stephen Mulhern, and like it or not he’s good at this sort of thing and dealing with members of the public. 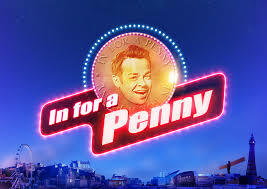 On the other hand it has Stephen Mulhern. On the one hand, it should be quite funny in way Ready or Not wasn’t. On the other hand, the cash prizes on offer seem rather unexciting, in a similar way Ready or Not wasn’t. On the one hand, they’ve sensibly limited it to half an hour. On the other hand, that’s 26 minutes longer than it had to entertain on Saturday Night Takeaway. So you’ll understand why we’re finding this a difficult one to call, it has trends it has to buck but it’s probably the show most likely to buck those trends. They’re giving it every chance, hammocked between Ninja Warrior and Britain’s Got Talent so suspect the figure might flatter to deceive a bit, still that’s scheduling for you. Pretty much as suspected, fun enough, not something worth going out of your way for. Will be very interesting to see a five minute breakdown tomorrow, people tuning in early for BGT likely to inflate the numbers by rather a lot. Feels more like 6:30 than 7:30 to me. Good to see a ‘new’ show getting a positive Twitter reaction for once! I think they deliberately left that sort of loophole open; I don’t think that there was anything obvious to prohibit a contestant from going “please would you repeat the word DRAWBRIDGE?” or alternatively “what word is spelled d-r-a-w-b-r-i-d-g-e?” and they would have rolled with it if they had. Is Stephen Mulhern the modern Michael Barrymore? So, basically, it’s 15 minutes of rather worthless (and extraordinarily low-budget) filler in front of a new episode of the classic Takeaway segment. Interesting that Ant & Dec get a “Creative Consultants” credit at the end, which was probably the most interesting part of the whole 22 minutes. Which, upon further reflection, leads me to this thought: I know that we Just Don’t Do 10-minute shows (unless you’re on YouTube … where, incidentally, this would be Right At Home), but standalone classic In For A Penny would be a perfect 10-minute show to drop in between two other shows that happen to have funky lengths to round up to an even hour or half-hour. 3.4m for IFAP, helped by a sudden influx in the last ten minutes, nevertheless didn’t drop beneath 3m for the duration. They’ll be pretty OK with that. Can’t cost more than 2p to make. One thing of interest here is that apparently it was ITV’s third highest rating broadcast of the year so far amongst kids, only behind the two episodes of Britain’s Got Talent aired so far. That’s the sort of thing that probably increases its stock a bit. Idea: pair this with another half-hour format like Wheel of Fortune as a Tipping Point replacement. Somewhere Paul Hendy is shaking his fist at the telly.